A natural makeup look doesn't have to be complicated and time-consuming. 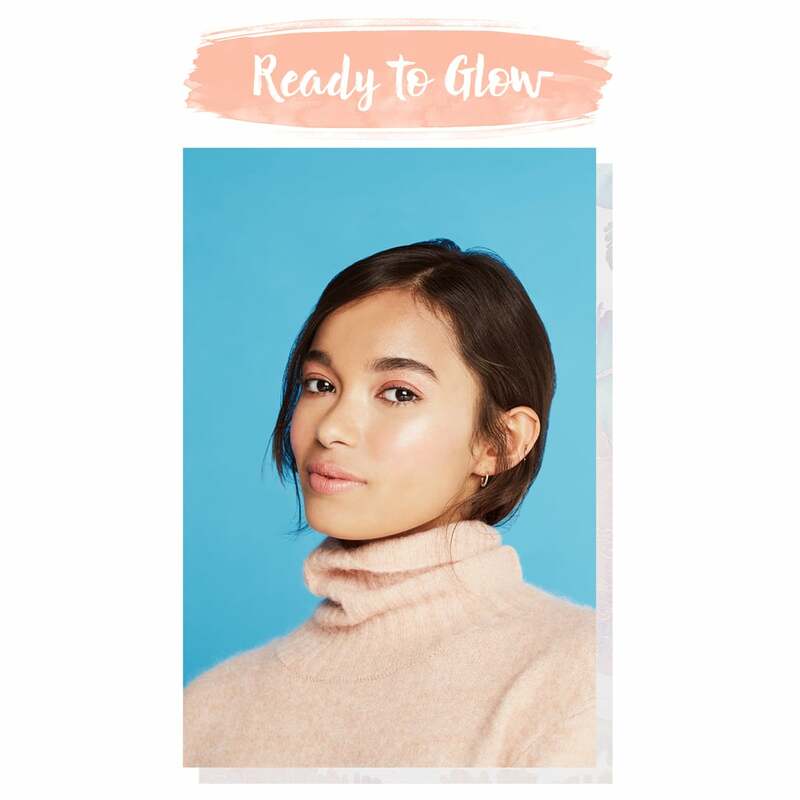 We've partnered with First Aid Beauty to create a gorgeous dewy look that's as fool-proof as it is easy for anyone to re-create. So no matter if you're a makeup newbie or the type of girl who's always in transit: if you have five minutes to spare, this look is for you. Even better, it's 100 percent mistake-proof, so you'll never have to break a sweat worrying about technique, anticipating potential smudge disasters, or fixating on a missed spot. See how we break down this flawless routine in the simple steps ahead. The first secret to a streamlined routine? Forgoing concealer and foundation and using a natural-finish skin tint ($34) that pulls equal weight without adding on extra bulk. 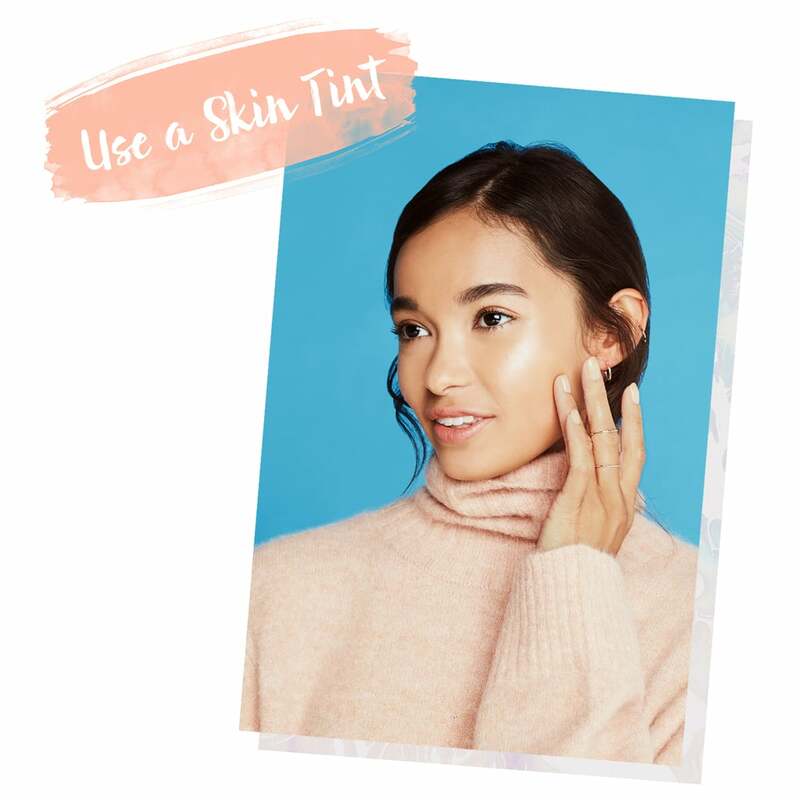 A breathable product like this is ideal for evening out your skin tone and masking imperfections without diminishing the natural radiance of your skin. For the best results, apply with your fingers and watch the skin tint melt in and adapt to your unique shade. When a bit of extra coverage is needed, it's also a breeze to build up in desired areas without getting thick. 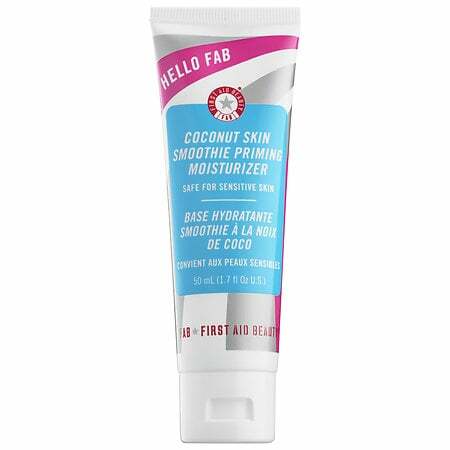 Prepping skin with a hydrating primer ($28) will add even more luminosity. 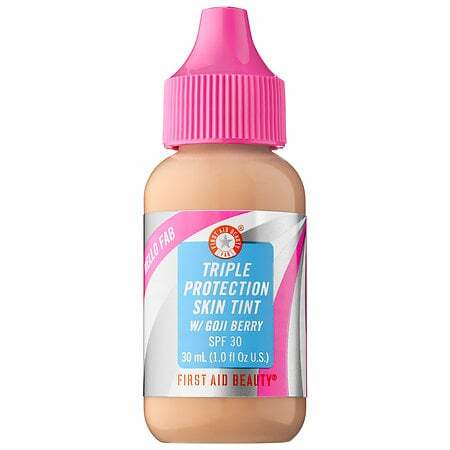 Bonus: For a truly impressive pick, this skin tint is packed with beneficial superfood ingredients — like antioxidant-rich goji berries — and SPF 30. You can keep your routine extra streamlined by hitting on multiple protection points in a single application. 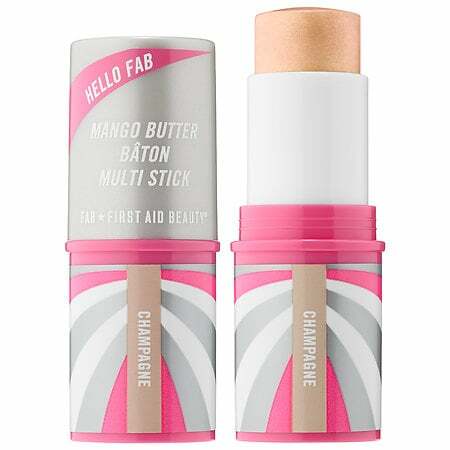 After your base is set, give your face dimension with the help of a cream-to-powder highlight stick ($20). The reflective properties will capture rays of light everywhere you go and leave you with a fresh, dewy finish vs. an oily shine. To help your skin stay moisturized and prevent unwanted texture from becoming the focal point of your look, be sure to choose a hydrating formula infused with ingredients like mango and shea butter. Though a powder formula may be your go-to for highlighting, a stick product makes it easy to target specific areas of your face — from the tops of your cheekbones to the bridge of your nose — and apply directly from the tube. All that's left to do is blend the product with your fingers for a diffused finish. You can also use it on the inner corners of your eyes, under your brow bone, and on the Cupid's bow of your lips. The only thing this luminous look is missing is a hint of color. 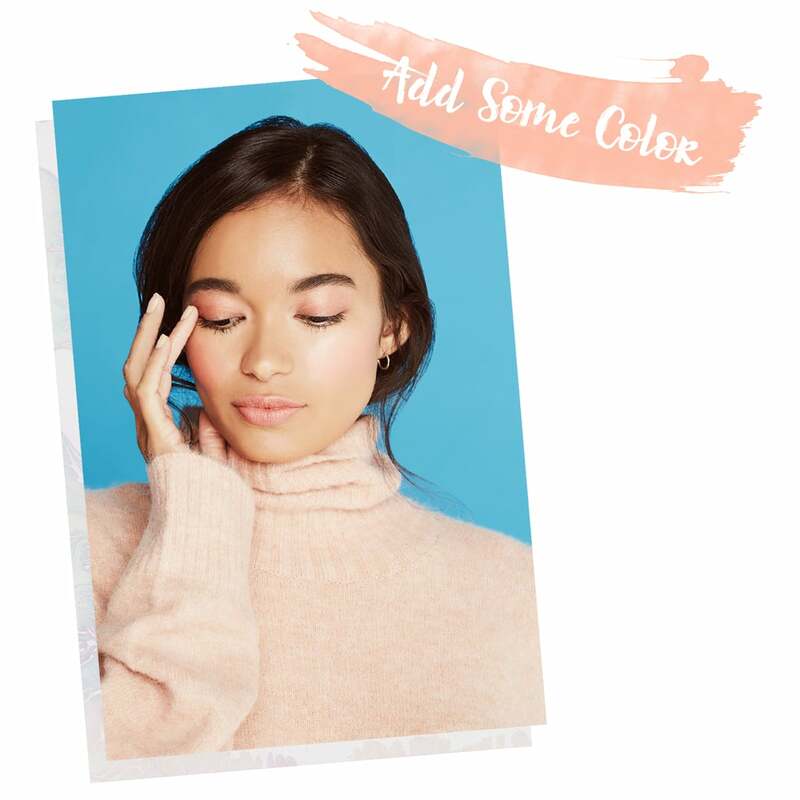 In true streamlined fashion, opt for one that not only complements your skin tone, but also is easy to use in several spots, like a rosy-pink shade. 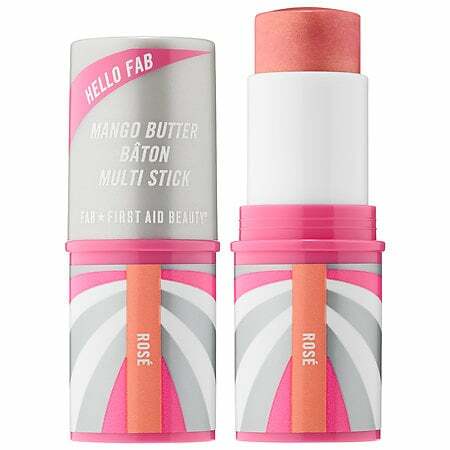 Apply a pink-toned multi stick ($20) on your cheeks for a naturally flirty flush that pairs with your pre-existing glow. Dot it on the apples of your cheeks first, and finish by blending out with your fingers, going up and toward your temples. Tap over your lids for an instantly dreamy, romantic eye look. Finally, add some color to your pout. The creamy formula is ideal for keeping your lips hydrated, and the finish will be somewhere between a frosted lipstick and a shimmery gloss. Ta-da! A lust-worthy look made easy with three simple-to-use products. For some final (and totally optional!) enhancements, top it off with a few swipes of mascara and a tinted brow gel.